Color, comfort and curve appeal all with five-pocket styling, grommet detail, plain back pockets and a breezy ankle length that looks just right with flats or heels. 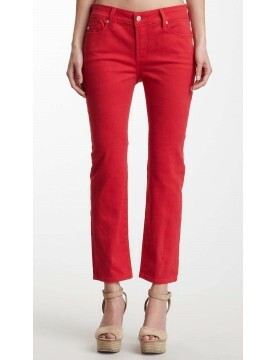 NYDJ Alisha Ankle Pants fabulous colors and fabulous price and the all important high rise for a slimmingsilhouette. 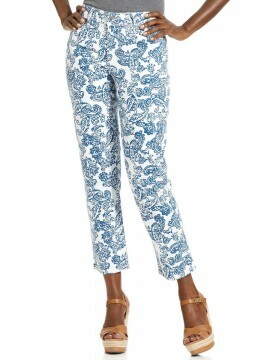 NYDJ ankle-length jeans in eye popping colour. Slim, tapered silhouette in stretch-cotton denim with exclusive lift-tuck technology helps flatten the tummy and lift the rear.